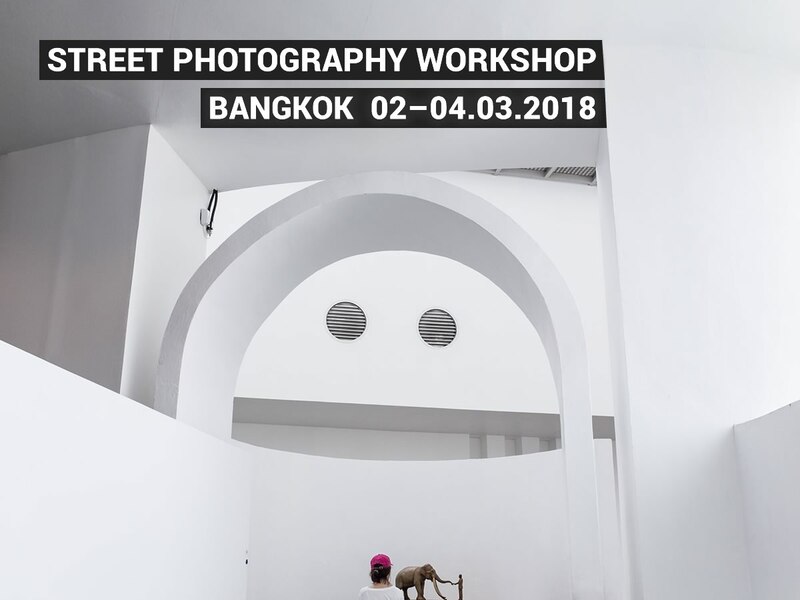 I’m happy to announce another street photography workshop in on of my favorite destinations – Bangkok. Join me for the intensive, 3-day event at the capital of Thailand and one of the most vibrant cities in the world! The workshop group will be very small – limited to only 5 people. This will ensure the quality of our work and a productive, personal contact with participants. Workshop will be lead in English and is dedicated to people both advanced and beginner photographers. I will be sharing my experiences and thoughts on the various aspects of Street Photography practice and documentary photography within public space. We will discuss the process and methodology behind my own work, as well as my understanding of Street Photography. Participants will be focusing on creating meaningful images that work both in series or as strong one image stories. The goal of the workshop is not only to improve your photography practice, but also to work towards better visual sensitivity – getting the most from the photographer’s creative instinct as well as improving the creative approach to public space. The dynamic streets of Bangkok are the perfect area to practice those skills!